Miserable to the core and wholly unwilling to extend a paw to help those in desperate need, the miserly Ebenezer Scrooge says "bah, Humbug!" to the festive season. 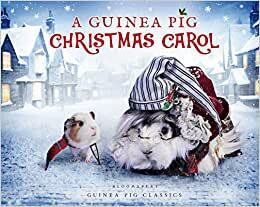 But one night he is visited by three Christmas Spirits who take him on a journey through time, so he can see the error of his ways and learn the true meaning of Christmas. Charles Dickens was the most popular novelist of the Victorian era. 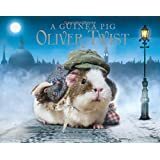 A prolific writer, he published more than a dozen novels in his lifetime, including Oliver Twist and Great Expectations, most of which have been adapted many times over for stage and screen. Tess Newall works as a set designer on a variety of scales for fashion, film, events, and window displays. She lives in London. Alex Goodwin has an MA in Creative Writing from the University of East Anglia. He lives in London. 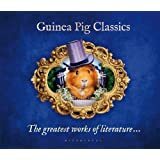 I have bought all of these guinea pig classics books for my sister and each one has been a winner. She loves them and I get to enjoy reading them before I give them to her. 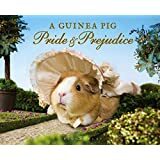 I'm a dog person but can appreciate the delight of seeing all of the guinea pigs dressed in period costumes to be photographed to illustrate the various stories. I hope the author and photographer continue their collaboration. I can't wait to see what book they release for next year. 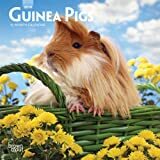 5.0 out of 5 starsPerfect first Guinea Pig Classic for the enthusiast. I purchased this for my 14 year old daughter as a Christmas gift. I had no idea what to expect, but I love it and know she will too. 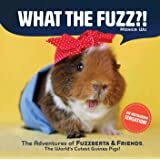 The story follows the classic tale and has adorable pictures of Guinea pigs as the characters. I can't wait to give it to her. Very cute book and story. 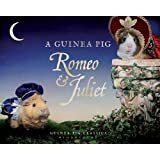 My daughter loved it, especially because we have guinea pigs. Cute story and photos, but..... VERY small book! Expensive for the small size.